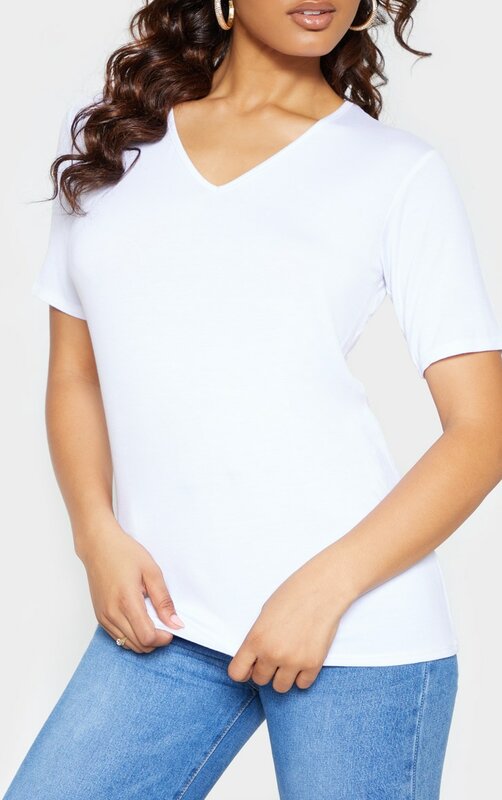 This simple t-shirt is essential for your off-duty wardrobe. 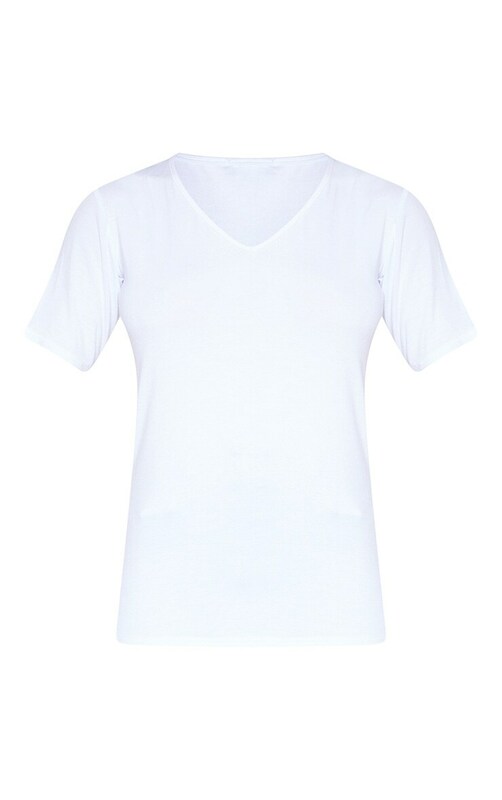 Featuring a white material with a v neckline and short sleeves. 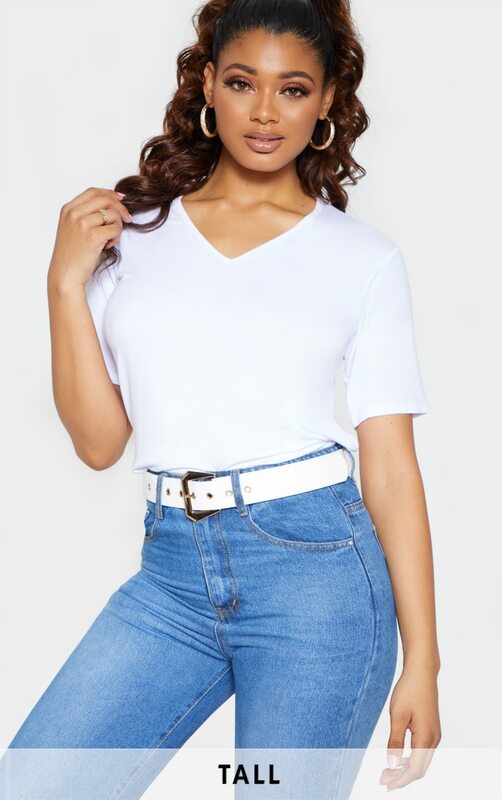 Team this with your fave pair of denim and fresh kicks for a look we are loving.